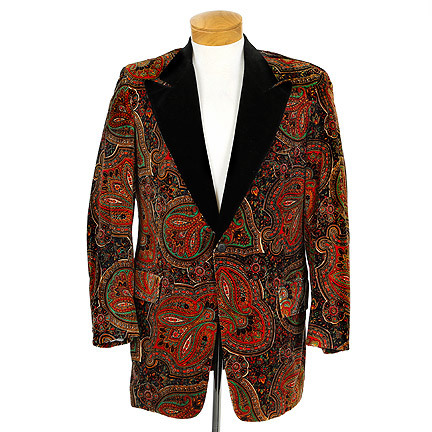 This tuxedo jacket was worn by the character “Irving Rosenfeld” portrayed by actor Christian Bale in the 2013 motion picture “American Hustle”. 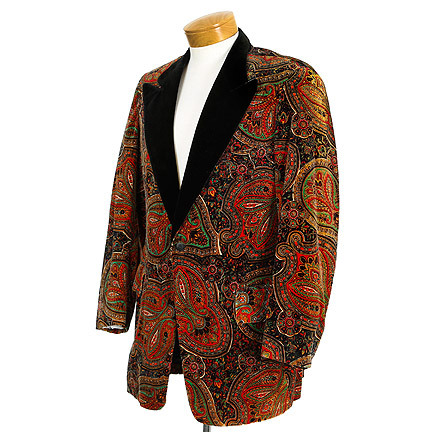 This vibrant velour tuxedo jacket has orange, yellow, gold, teal, and red paisley print with black peak lapel, single button front, and two flap pockets. 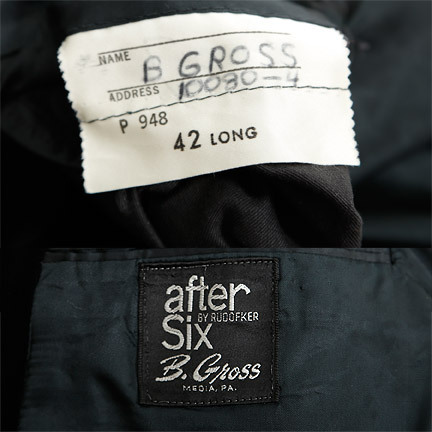 The Take Six label is sewn into the interior breast pocket with “B. 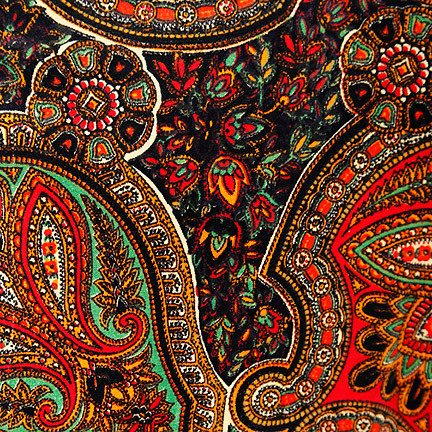 Gross” written in black marker. 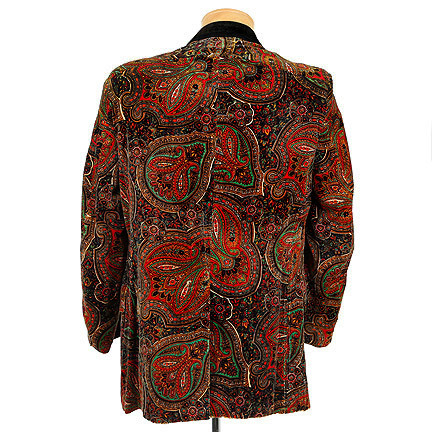 The hem of the coat is worn and has slight fraying of the material. 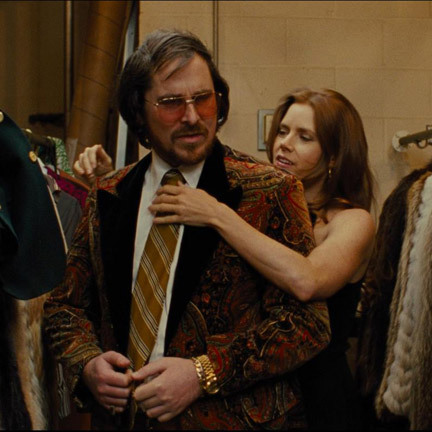 Irving wears this jacket in the backroom of his dry cleaners with Sydney (Amy Adams. 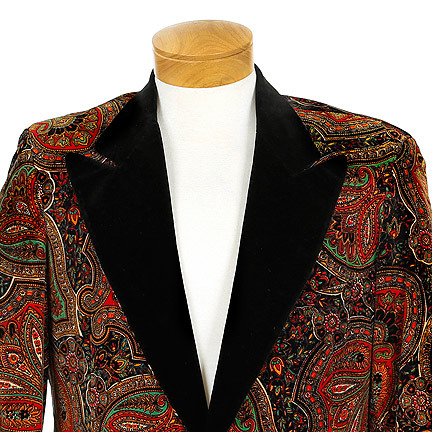 Irving watches as Sydney tries on the expensive designers clothes that were left by customers.